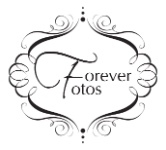 Forever Fotos strives to provide an amazing experience for our clients. When you get your portraits taken with us, you will experience a laid back, fun environment. We believe that photography is created not by the camera but by the eye and the vision behind the camera. We would love to create amazing images with you.